An article by Everett Martinez about the day labor industry in the construction trades. Whether it means the arduous toil of building a house or the technical knowhow required to unclog a home septic system, “day labor” is the catch-all term for an industry defined by its instability, unreliability and illegality for those who work in it. A thick veil of myths, misinformation and racism distorts the public’s understanding of day labor and inhibit the ability of labor organizers to extend solidarity to this alarmingly vulnerable segment of the working class. I work for a small construction company in northern New Jersey. Both the company I work for and the companies we find ourselves partnering with—whose areas of work cover everything from construction to logging, landscaping, plumbing, etc.—use day labor as their main, if not only, source of labor. This article is intended to share my observations on the nature of work in the day labor industry, the relationship between laborers and their employers, and the possibilities for helping laborers to organize themselves. Hopefully this information will enable us as comrades of day laborers to provide them with the solidarity and working-class unity they deserve. Perhaps the most pervasive myth about day labor is that a laborer works for different employers every day. We tend to imagine day laborers as waiting outside of Home Depot for an employer who picks up whoever happens to be standing outside at the time. In my experience, nothing has been further from the truth: most laborers are employed by the same employer consistently, often working for the same one for years at a time. Employment occurs on a job-by-job basis. A laborer and an employer will be in contact with each other, and the employer will contact the laborer whenever work is needed. As the term suggests, the worker is employed by day; at the end of one working day, the employer will tell the worker to be at the employer’s shop, or the employer will arrange a certain meeting place at a certain time the next day. Laborers are paid in cash at the end of each day—in my experience, laborers are paid around $10 to $12 per hour. John Smith Plumbing Company, for instance—our obviously fictitious company— will get a call to unclog a family’s drain. In turn, the owner of John Smith Plumbing will call the laborer(s) he employs and arrange a time and place to pick them up. The employer drives the laborers to the job and work begins. The main buyers of day labor are small businesses, which are most of the time owned and operated by a single person. John Smith Plumbing is owned by John Smith, who is the company’s only permanent member. He is the president, treasurer, advertiser and hiring department. He owns all of the plumbing equipment as his personal property, handles all of the advertising and networking, and in general undertakes all the administrative functions of the company. Since the construction industries, unlike the food industry, have not been centralized into the hands of multinational corporations, any number of these neighborhood companies will be operating in the same general area. In the age of globalization and the movement of manufacturing and manual labor out of the West, this local, decentralized and labor-intensive industry is an interesting divergence from the industries Western labor organizers are used to organizing. One of the strangest dynamics of day labor is the incredibly casual nature of the relationship between day laborers and employers. This is not to say that day labor is not hard work or that day laborers are “friends” with their employers. Rather, the relationship between a laborer and his employer is marked by the employer undertaking tasks formal employers never do. I have personally never witnessed an employer hire more than four laborers in one job, meaning that employers don’t communicate with their laborers as “line bosses” charged with measuring the productivity and discipline of a large workforce. On the other hand, the dynamic is much more personal: on the way from one job to the next there are personal conversations, the car radio will be on, etc. The employer and the laborer(s) usually eat meals together—the length of the workday usually includes both breakfast and lunch—and the employer will usually buy one of the meals for his laborer. Additionally, the employer often charges himself with buying personal equipment for his laborers: work gloves, boots and the like. These seemingly benevolent gestures, taken in the context of a seemingly personal employer-employee relationship, may hinder organizing. During unionization campaigns, we often see employers try to manipulate these sorts of things: “we’re a mom-and-pop company,” “employees are part of the company,” etc. Day Labor: No Place in the Business Union? The common portrayal of the day laborer is that of an undocumented Latino man, usually speaking little English, who often has a family to support. In my experience, this is by no means inaccurate; all day laborers I’ve worked with are indeed Latino men who speak little English. I can’t comment on their citizenship status but I would be inclined to assume most are not documented due to the under-the-table, undocumented nature of day labor, including the fact that employers do not report them as employees. Obviously, it is safe to assume that if day laborers had the opportunity to move to more formal, regulated employment, employers would report them as employees. One can only assume, then, that they do not have this opportunity, presumably due to their citizenship status. The extreme vulnerability of being an undocumented worker is heightened by the mainstream labor movement’s disinterest (or inability) in helping them organize themselves. Despite the necessity of day labor to keeping our society’s infrastructure intact, a variety of factors have caused the modern labor movement to pass over the day labor industry as a potential for organizing efforts. 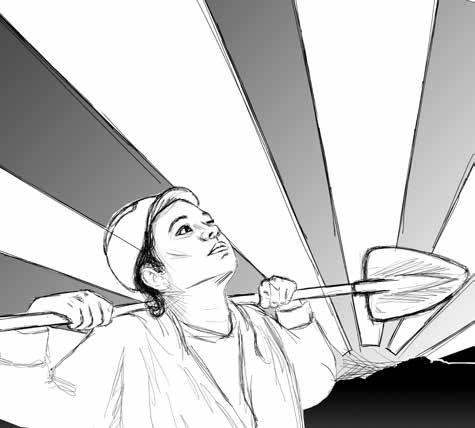 Day laborers have no avenue of recourse if they are victimized by their employer. Imagine that you were in this country illegally. Would you trust a government institution like the National Labor Relations Board (NLRB) to properly defend you against wage theft? In fact, would you even know of the NLRB, of labor laws in this country, and of how to exercise these rights? Would you trust that, upon reporting your employer to the NLRB, the NLRB wouldn’t just have you and your family deported? When day laborers do not organize themselves, employers have total power over the conditions of laborers’ work. There is no record that a day laborer ever worked for an employer, and the employer knows a laborer will not report illegal practices. What, then, does an individual laborer do if the employer simply decides not to pay him at the end of the day? What does a laborer do if the employer pays him below minimum wage? Do laborers new to the country even know minimum wage laws for their state? What does a laborer do if the employer forces laborers to use dangerous machinery without properly instructing them how to use it or without providing them with necessary safety equipment? Day labor is not conventional labor, but the IWW is certainly not a conventional union. If we are interested in helping day laborers to organize themselves, we must adopt innovative and creative tactics to respond to the unique challenges of the industry. The first key problem is the lack of a definable workforce. As previously stated, most companies employ no more than four laborers at a time, and these laborers are not even officially employed with the company. If an individual laborer, or even a small group of them, were to refuse unsafe or unfair working conditions, the employer can easily replace them. There is no shortage of day labor, and there is no process the employer must initiate to fire a day laborer beyond not calling them back. Thus, day labor must be organized geographically, not by employer. If all the day laborers in a given area refused to work for, say, under $10 per hour, an employer would have virtually no choice but to concede. This, I believe, is where the General Membership Branch and industrial structure of the IWW would be most effectively instituted. Secondly, due to the state’s open hostility to undocumented peoples, attempts to force concessions from employers cannot rely on state mechanisms like the NLRB. This is perhaps where the nature of day labor can be used to the laborers’ advantage: most day labor jobs are based in the construction and infrastructure industries, and these jobs have tight deadlines. You have to dig a foundation in 10 days, you have to unclog a person’s drain in an hour, etc. The employer has no time to deal with laborers refusing work. If they refuse work, the job doesn’t get done. If the job doesn’t get done, the company gets taken off the job, and the employer doesn’t get paid. The urgency of the work can be used as a weapon against the employer. Imagine this scenario: John Smith of John Smith Plumbing gets a call to unclog a family’s drain. He drives himself and one laborer to the house to begin fixing the drain. In the past, John Smith has underpaid his laborers, making excuses like, “You didn’t work hard enough today so I’m only going to give you $80 instead of our agreed-upon $120.” The laborer John Smith brought along has been the victim of this but has stayed with Smith due to the lack of work. When John Smith and his laborer get to the drain call, the laborer refuses to leave the truck until Smith pays him $200 he owes in sto-len wages. Every minute wasted by this work refusal is a minute the customer has to pay for, and if the customer sees no work is being done, the customer will easily just take John Smith Plumbing off the job and call another company. Moreover, Smith and his laborer are already at the job site; Smith doesn’t have time to find another laborer—that may take hours, and by that time the customer will have definitely found another draincleaning service. If a geographical network of day laborers was established, there would be little need for contracts or legal interventions— workers’ power could be expressed on the job through economic actions. All in all, the day labor industry is an industry which would be a unique challenge to organize, but it is an industry in which the IWW’s model of organizing would thrive. As a worker employed alongside day laborers, it would seem to me as though day laborers’ only hope for winning better working conditions is through the solidarity-based approach to unionism and work-place justice provided by the IWW. It would be a serious betrayal to our undocumented, hyper-exploited, and hyper-vulnerable comrades in the day labor industry if we did not offer them our full support and solidarity. I offer these observations in hopes that they will persuade my fellow workers to take an interest in the struggles of day laborers in their areas. Everett Martinez is a Wobbly employed in the lumber and construction industries, and is part of the current initiative to build a strong IWW presence in New Jersey. She can be contacted at iww. nnj@gmail.com. This is good stuff, highly informative! Good luck!